Growing up, you likely didn't think much about the type of bike pedals that came with your Huffy. The streamers on the handlebars and the front or rear basket where you put your favorite toys and snacks (and occasionally, another person) were all atop your list, but not the pedals. Now that you're older, riding your bike has come to mean something different. Maybe you commute to work to save money and get some exercise, or maybe you're a dedicated weekend warrior mountain biker who lets off steam on the single track. Whatever your purpose for jumping in the saddle, the right type of pedal can make all the difference between a smooth, powerful ride and a shin-bruising slog in the mud. Here's a breakdown of the different types of pedals, the pros and cons of each, and the type of riding that best suits each system. Happy pedaling! Named for their shape, platform pedals create a large, flat surface area for your foot to rest on as you push. The most popular type of pedal, chances are you first learned to ride a bike on these bulky, rubbery planks. Platform pedals conform to any type of footwear (or lack thereof) and their simplicity and absence of a clipping system make them perfect for beginner cyclists. Various designs of platform pedals exist, including ones for off-road use that have tiny "teeth" on or surrounding the pedal to help keep your foot in place as you traverse bumpy roads. 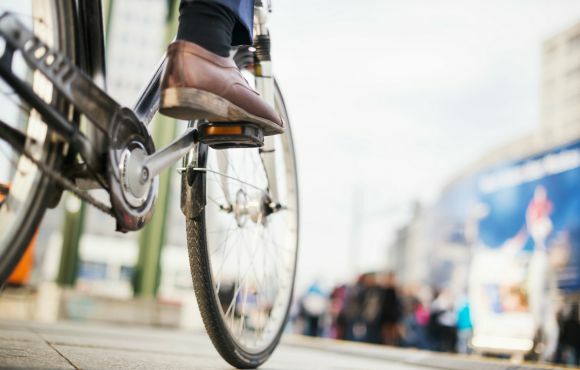 If you are a commuter, or just looking to ride your beach cruiser around town, platform pedals are the best option because you don't have to stash an extra pair of shoes to wear once you reach your destination. • Because you just rest your foot on top, you lose the full power of the pedal stroke (namely the upstroke), which can slow you down. • With no ability to attach your foot to the pedal, mountain bikers will find that this makes it easy for your foot to fly off or the pedal to smack you in the shin. 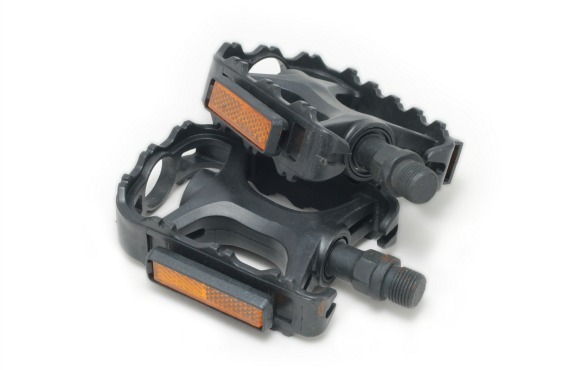 Toe clips, which you've probably used at your local spin class, are cages attached to the tops of platform pedals that hold your foot in place on top of the pedal. Like platform pedals, toe clips are very beginner-friendly and don't require the purchase of special footwear or cleats. Unlike platform pedals, toe clips secure your foot in place, which is useful if you're traveling long distances to and from work and would like more power in your pedal stroke. Toe clips are also a good choice for novice mountain bikers who want a quick escape to place their foot on the ground should they encounter uncertain terrain. Toe clips will also prevent mountain bikers' feet from slipping off pedals and crashing into their shins. • While you're not clipped in, your foot is more secure on the pedal than with platform pedals. • Even though your foot is inside the cage, you still don't get the full power of the pedal stroke as you would if you were clipped in. With a platform pedal on one side and a clipless pedal system on the other, hybrid pedals offer riders a choice of how they want to roll. 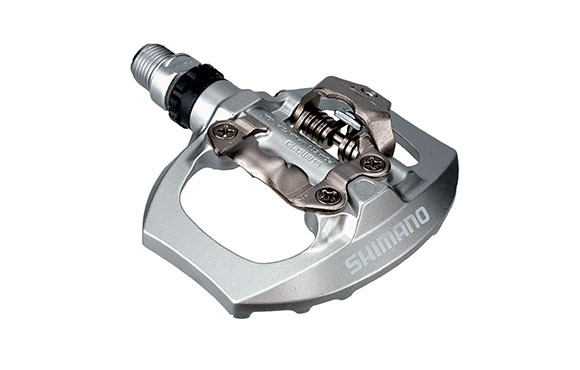 One of the more popular versions of this pedal is the Shimano-PDM324, which retails for around $50 and offers an SPD clipless system on one side and a platform pedal with gripping aluminum teeth on the other. Commuters who like the option of clipping in some days and wearing regular work shoes on others, or people doing long touring rides who want the flexibility of clipping in or not, do particularly well with this type of setup. 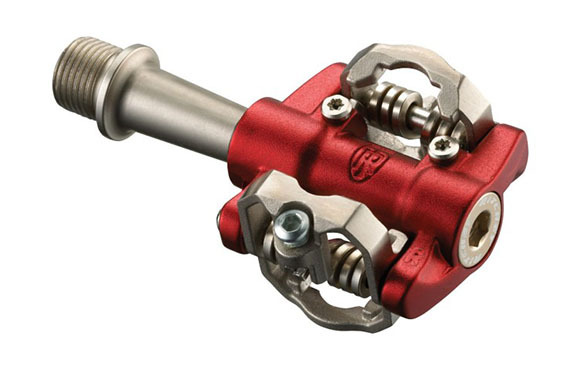 If you're a roadie or mountain biker novice who wants to venture into the world of clipless pedals, but would like the option to stay "unlocked" in certain situations, hybrid pedals offer the best of both worlds. • Great option for people looking to make the transition from toe cages or platform pedals to clipless. • Can be a bit bulky and heavy compared to other pedal systems. 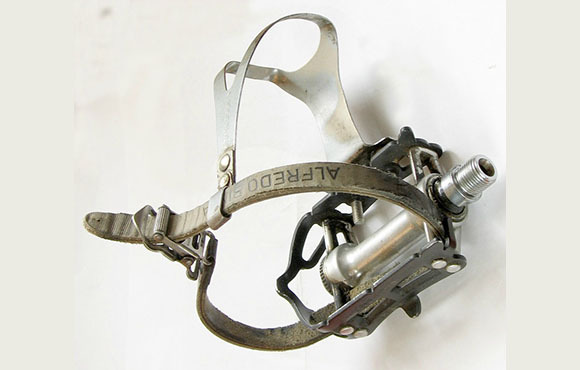 "Clipless" pedal systems, somewhat of a misnomer, are named because of the lack of toe clips or cages in the design. 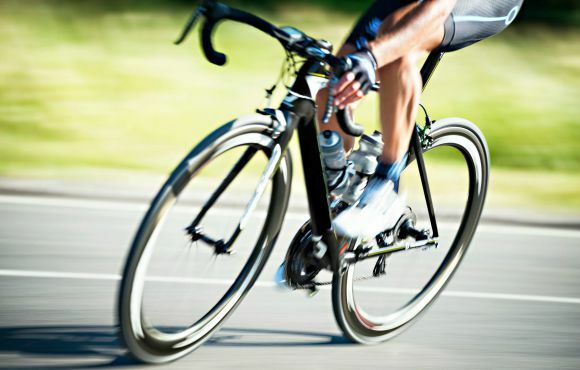 Instead, the bottom of the rider's foot is attached to the pedal through the use of special cycling shoes and cleats attached to the bottom of the shoe. 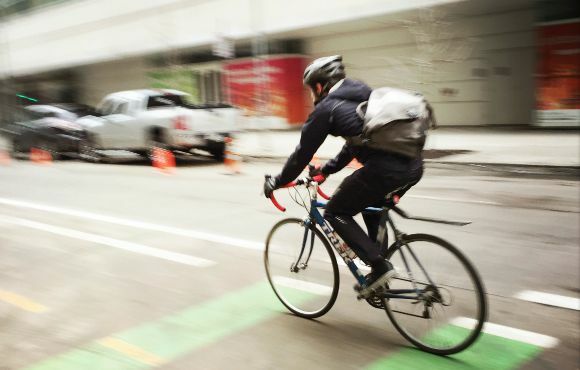 When attached to the pedal, a rider is commonly referred to as being "clipped in." 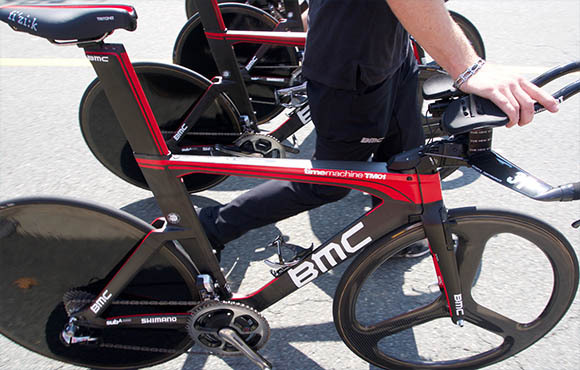 In this case, the rider can maximize the power generated by a full 360-degree pedal stroke. While clipping in and out is a simple matter of twisting one's foot out slightly to the side to unclip, there is a learning curve with clipless pedals. Most people new to clipless pedals simply forget they are clipped-in, roll up to a traffic light or come to an abrupt stop on the trail, then topple over. Once you do this once or twice, you'll never forget to clip out again. 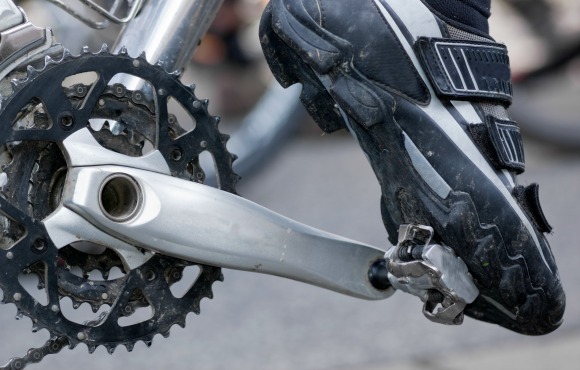 Within the category of clipless pedals, you'll find a range of styles, but the broader category of clipless pedal systems are broken down into two groups: road systems and off-road systems. • By being clipped in, you can more decisively transfer your weight as needed during turns and on technical terrain. 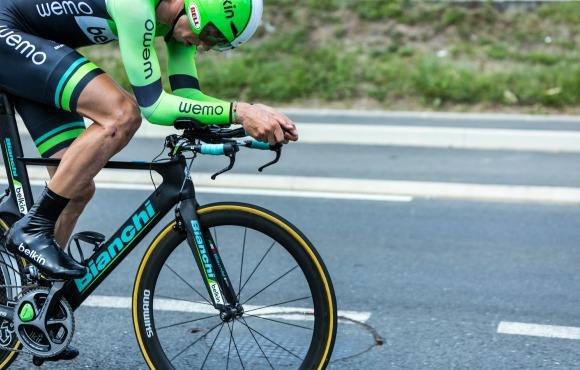 For the serious roadie, if you own and frequently use a time trial bike, you might consider the road clipless system. Depending on the pedal manufacturer and pedal design, cleats for these pedals are fastened to the bottom of the shoe by a specific configuration of bolts. Road-specific cycling shoes tend to be very stiff to create more efficient power transfer and can range in price from $75 to several hundred dollars depending on materials and specific design components. Due to the bulky attachment of the cleat to the bottom of the sole, it is difficult to walk around in road shoes and should be kept to a minimum to risk slipping and falling. Off-road systems are similar to road systems, except the design of the cleat and shoe lends itself to off-road riding. Off-road shoe systems use a two-bolt system (often referred to as an SPD system) to attach the cleat to the bottom of the shoe. Designed with a recessed cleat attachment and treaded soles, off-road shoes make it easier to walk around off the bike and keep mud and dirt from clogging up the cleat. There is also a variety of mountain bike cycling shoe styles. 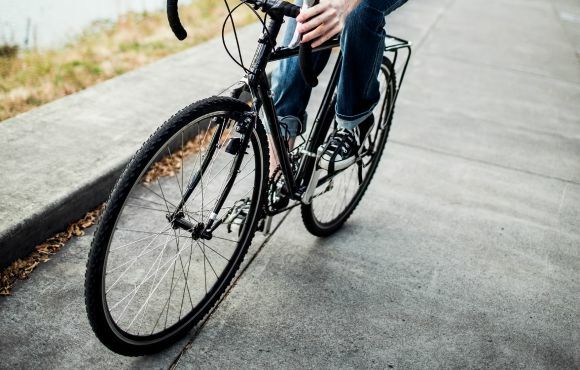 From sandal designs and lace-up models that look like trail boots to stiffer designs that closely resemble road cycling shoes, riders can find the right type to match their riding style and personality. Theoretically, you could use a clipless off-road system on the road and vice versa. And much like road cycling shoes, the prices vary from less than $100 to several hundred dollars, and the cleats will need regular replacement.